I’ve been making my own coconut butter for quite a while now. Truth be told, up until last month, I had never even bought a jar of the ready-made stuff. Then, there was this one day when, I dunno… curiosity got the best of me I guess, and I went ahead and purchased a jar of this pricey little thing. OMG. Just one spoonful and I was totally hooked. The texture was just totally, completely different: so much smoother, so much creamier… almost like cake frosting. Almost. I knew right then and there that I was gonna have to try and replicate it at home. For you know what? Something REALLY has to be said for smooth and creamy coconut butter. I mean, really, really, REALLY! But there’s no way I’m gonna dish out that kind of money for coconut butter, no matter how creamy! 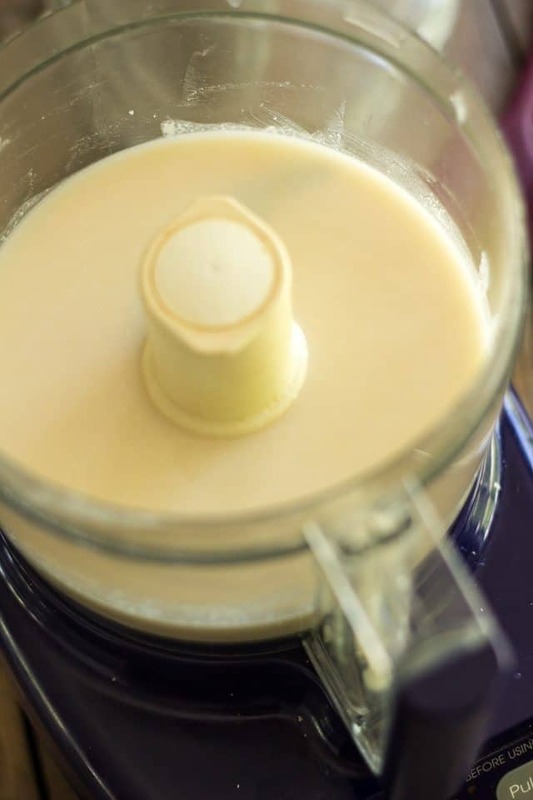 I figure this creamy paste is probably what you get when you use one of those fancy-shmancy high speed blenders, but what if you don’t own one? The only thing I could think of was to force the freshly made butter down a fine mesh sieve to isolate all of the tiny little pieces of coconut that didn’t get pulverized by the blade. That, and add a decent amount of coconut oil to help make the final texture even creamier. Do I need to tell you that it worked? Beautifully? Perfectly? Beyond my expectations, even? This butter I just created is even better then the one I’d purchased. MUCH BETTER! Granted, it’s a tad more complicated to make and dirties a little bit more dishes, but the extra effort is so entirely worth it, I don’t think I’ll ever be able to have coconut butter any other way now. Oh well. All the more reason to make my own! 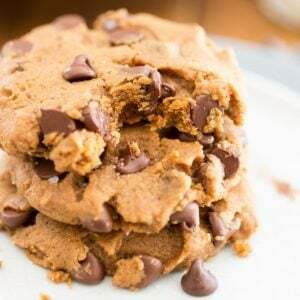 The first steps in making this version are pretty much the same as when making regular coconut butter, except this time, we’re not only adding unsweetened shredded coconut to the bowl of our food processor, we’re also adding coconut oil and a little bit of salt. That’s right, salt. That really helps in bringing out the full flavor of the coconut. Also, the addition of coconut oil really helps in getting things started. In only a matter of seconds, you’ve already got this sort of paste happening, and it’s already beginning to smell real good, too! Only a few minutes more, and you’re now looking at something that pretty much resembles coconut butter, only it has a texture that is a tad on the coarser side. We need to keep going and pulverize as many of those little coconut flakes as we possibly can. Ah, now this is much better! After about about 5 minutes of continuous action, your butter should look fairly liquidy like this. Looks like it’s perfectly smooth, don’t it? You’ll be surprised when you see how very “chunky” this still is. Let’s pour this mixture right into a fine mesh sieve set over a fairly large mixing bowl. You may not want to pour it all at once: it’s easier to work in smaller batches. Now, using a rubber spatula or ladle, you’ll want to force/push that coconut butter down the sieve. Really go at it and extract as much as you can of that precious, fragrant liquid. See what I meant by how chunky that still was? This is what got left behind after I pressed and pushed the bejesus out of my coconut butter. But wait! We can still get more smooth coconut goodness out of there. How? We’re gonna break this down some more. Back into the food processor this goes! Process until it becomes smooth and liquidy again, then force it through the fine mesh sieve for a second time. You’ll be pleasantly happy with the extra amount of creamy butter that you’ll get out of this! And if you’re feeling particularly zealous, you can repeat that process for a third time. Now pour the smooth butter into a clean glass jar and put it to rest for at least 24 hours. This needs some time to cool and get down to its rightful, fabulous creamy consistency. Oh, and by all means, do not throw out the coarser coconut that got left behind. Keep in in a separate jar. 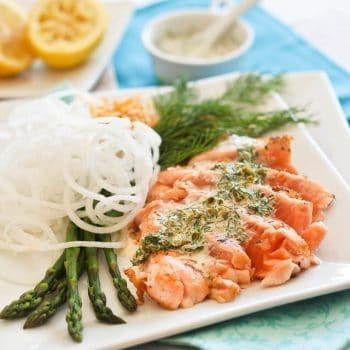 Like I said, this is a fabulous garnish for all kinds of things, from pancakes to salads, to scrambled eggs to grilled chicken! Seriously, you can put that stuff on basically anything. 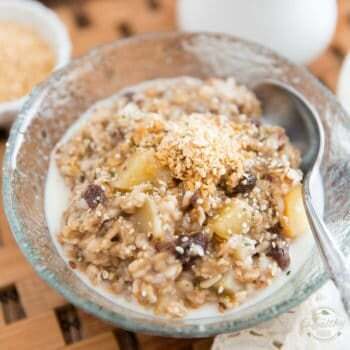 Just scoop out a spoonful and sort of crumble it on top of whatever you like! 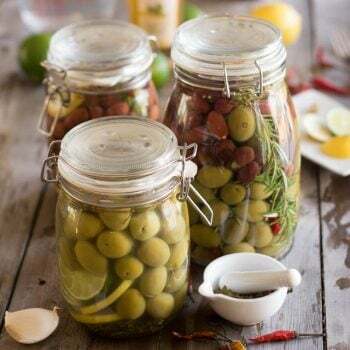 If you happen to be making this during the warmer months of summer, you might find that it will remain fairly liquidy, even after sitting for a full day. If that happens, simply throw it in the fridge for an hour or two, then give it a good stir to combine. It will turn into this dreamy frosting-like concoction and should remain stable afterwards. But hey, I never said that! Let’s just say you figured that out on your own. Yeah. That’s my story and I stick with it. 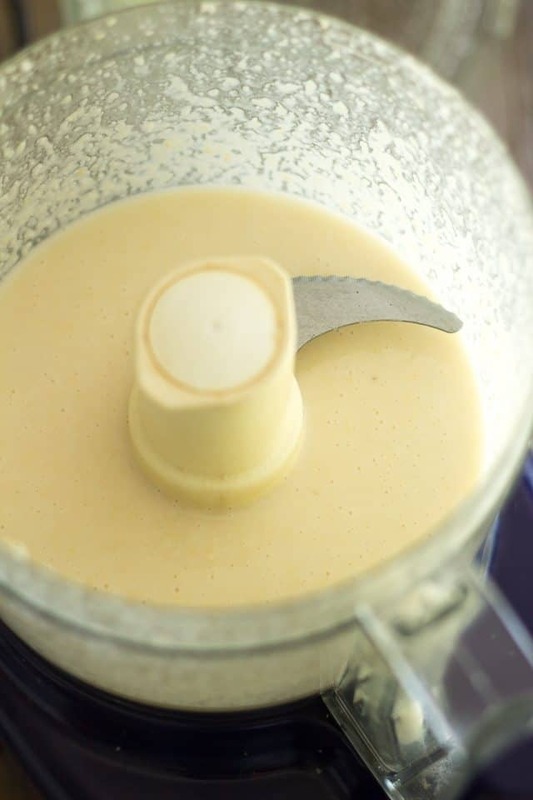 Add all the ingredients to the bowl of your food processor and process for a total of 8-10 minutes until creamy and fairly liquidy. You will have to stop and scrape the sides a few times, but it shouldn't be too all that often. 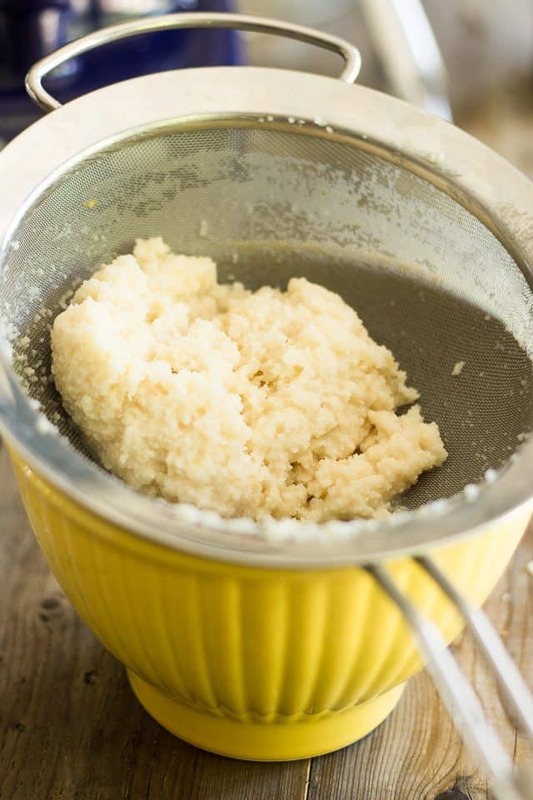 Force the coconut butter through a fine mesh sieve by pushing it down with a ladle or rubber spatula. 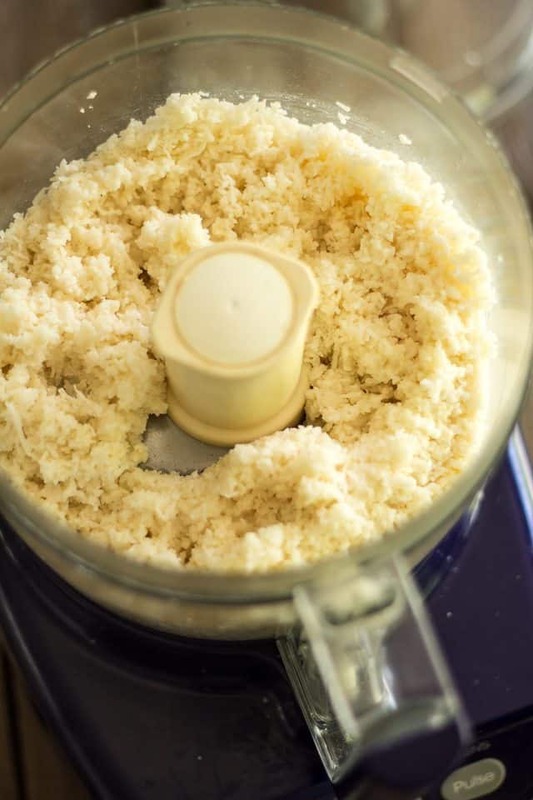 Place the coarser butter that stayed in the sieve back it the food processor and process it for a few more minutes until it becomes liquidy again. Force through the fine mesh sieve once again. You can repeat this process one or two more times, just to make sure you get the most out of your coconut. 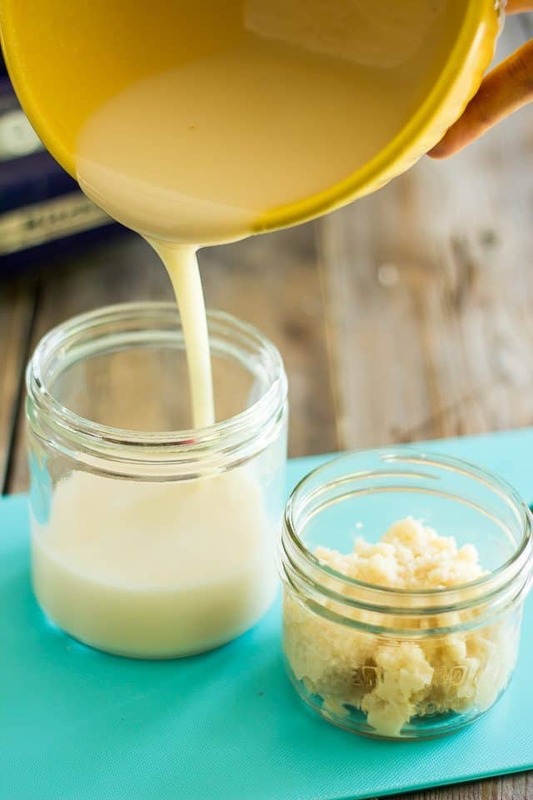 Pour the smooth butter into a glass jar and put it away to give it time to set, at least 24 hours. 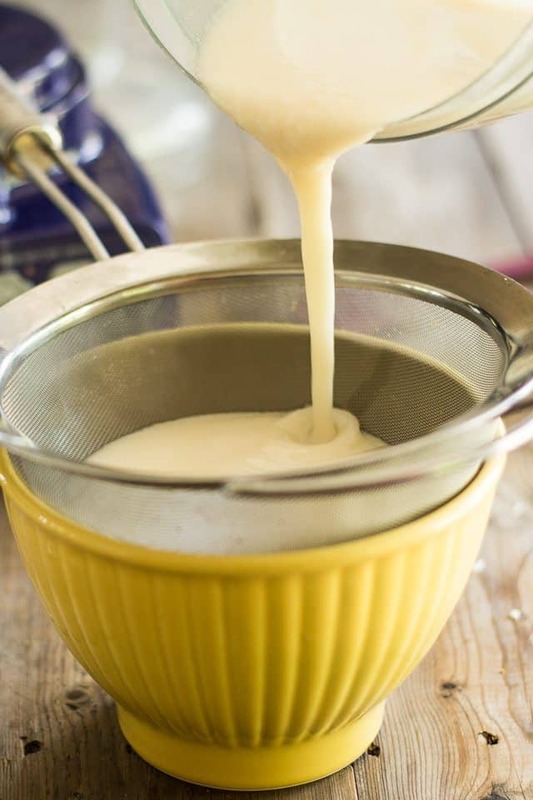 By all means, do not discard the grainy butter; Keep it in a separate jar and use it as a garnish for pancakes, muffins, scrambled eggs, salads... let your imagination run wild! During the warmer months of summer, your coconut might remain liquidy even after sitting for a while. If that happens, simply place it in the fridge for an hour or two and give it a good stir. This should give it a nice spreadable consistency. 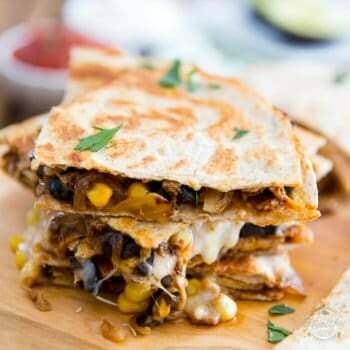 Awesome recipe. This can save so much money. This looks fantastic! What is the shelf life on this? Thanks! Much longer than this thing will last you, Amanda! Seriously, months. It’s only coconut and coconut oil! Aww, sorry to hear you’re not feeling well, Loretta. Wish I could send a jar of this coconut butter your way. Sadly, there’s no more… I just finished the last of it! Time to whip up another batch, I guess. 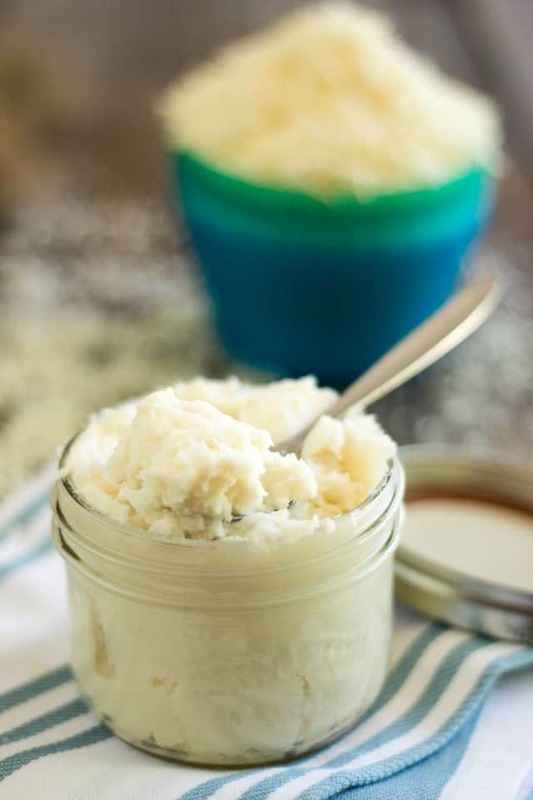 what is the nutrition information for your homemade coconut butter? Oh. 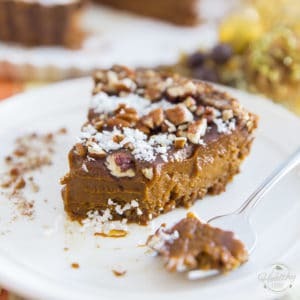 Now my brain is going there and I’m thinking this would be sooooooo good using the toasted coconut too!! Cannot WAIT to try this! Thanks for another great technique. HAHA! I beat you to that, Becky! It’s super crazy delicious, trust me. Might I suggest you use half toasted and half plain? It’s simply insane! I just made this and it was amazing! Super smooth! I love that you added coconut oil. So glad I found your blog! I just checked my coconut, from Bob’s Red Mill. It is unsulfured. BTW, I “went for it” this year and bought a Vitamix. It is one of the best purchases I have ever made. This year I have developed intolerances to all things gluten, dairy and corn. The Vitamix has saved us a ton of money, now that I have had to eliminate processed food from my life. Thanks for posting this. I tried to make coconut butter today in my vitamix and it was not creamy. So even the fancy schmancy blender doesn’t get the job done 🙁 sadly. It was not what I expected so I kept blending and blending. I added some coconut oil but I don’t think I added enough. But luckily I found your recipe and will try this moving forward. Hopefully I can salvage the coconut butter I already made. Thanks! Really? Even the vitamix didn’t get it to turn creamy? I’m so surprised. One of these days, I’m gonna have to try one of those for myself… I’m just so curious! I truly hope that you do manage to save your coconut butter. Keep me posted! Oh in terms of fancy schmancy blenders I definitely would consider doing a comparison of comparable models of vitamix to blendtec. I love my vitamix but I think blendtec might have more features and I feel like the brand is more innovative meaning potentially some great add on pieces. Whereas vitamix just has a couple of different blender pitchers. And now a slightly more complicated question. I grew up hating coconut, like seriously unable to swallow anything with shredded coconut in it. Ironically, I do love curry dishes which I know are made with coconut milk. Do you think I would like this? Thanks for the reply! That being said I probably won’t make it for myself but I am still curious to know what you use it for?? 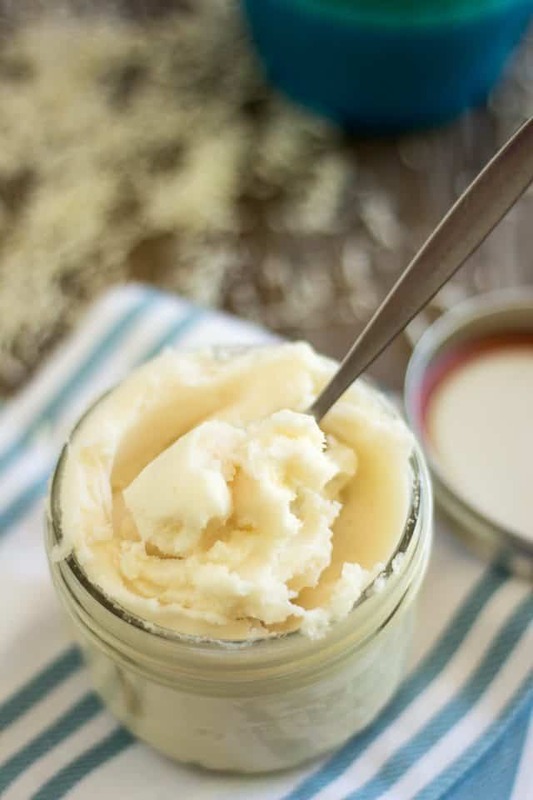 Hi, am living here in the tropics and sad we dont have coconut butter available in the market, so glad found your recipe and would like to try your coconut butter recipe. Just want to know how to extend its shelf life even if it is not inside the fridge. Also the oil you added is it virgin coconut oil too? Thanks a lot. You don’t need to keep coconut butter in the fridge Rebecca, it’ll stay good for several months in the pantry. The oil is indeed virgin coconut oil. This stuff is amazing! Thank you, thank you so much! I made the mistake of letting my kids try it so now I have to share. Just made this, it is awesome! I live in Germany, and so far I’ve only found one store that even carries creamed coconut, at ridiculous prices. Ordering off the internet it is still fairly expensive. So I found bulk organic shredded coconut on the internet, got my package today and tried it right away. Even with a regular food processor (Philips) it turned out well. And it saves me almost 4$ per pint jar. Thank you!! Hello, I make coconut oil, but i don’t know what to do with the shaft after i have extracted the oil. Can the shaft be used to make the coconut butter? I also want to ask if i can add water (and what quantity) when blending the coconut? The oil doesn’t seem enough to give a liquid consistency. I really wouldn’t know Yemz, I’ve never tried extracting oil from a coconut before, so I don’t even know what kind of product you are dealing with… sorry about that. I use Nutiva Coconut Manna in our breakfast smoothies almost every day and it is pricey. Now I have to try out your recipe only I do have a smoothie maker so thinking it might eliminate or minimize the fine sieve process. 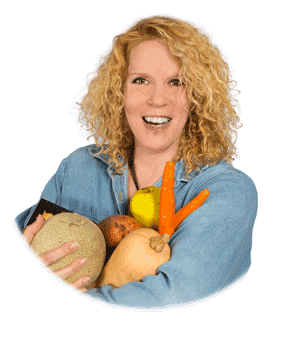 I LOVE it when I find folks like you making my life easier and healthy eating more affordable. Thank you so much and now to check out a few of your other recipes!!!! I found your updated version after I commented on this one!!! I do not YET have a Vitamix and will be deciding if that is the one I want or if the Blendtec will do all I need. This will be my next major investment in my kitchen, your book will be ordered today though!!! Thanks so much for sharing your knowledge and work with us. I just made coconut butter with a cheap department store blender. I first pulverized it down in the regular blender container. I then scooped that out & put in a small mason jar & screwed the blades on. Creamed it up, took the blades off & stuck a lid on the jar for storage. No sieving needed. The point seems to be (from what I have read) is that the heat from the blender helps with the process. The small glass jar got nice & warm pretty quickly! Spread the word! It can be done! 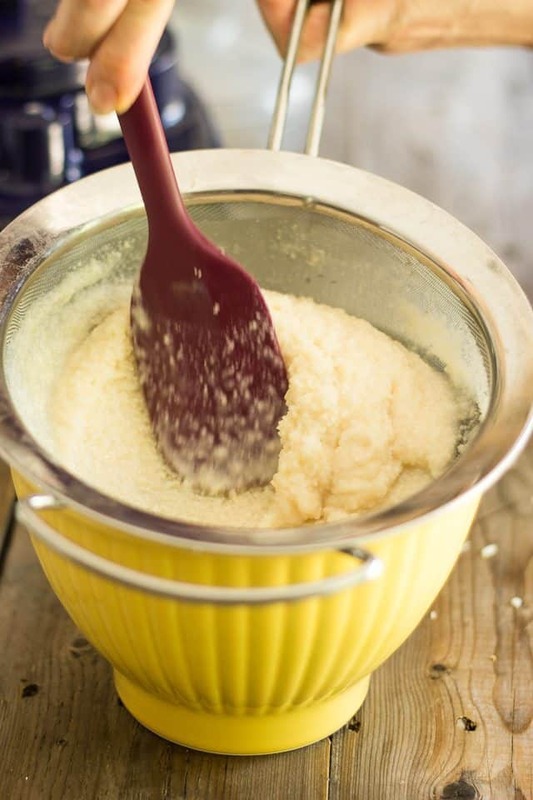 Sieving is not absolutely necessary, you can still get butter without doing it, only you will probably have little “crunchy” particles left, which some people really care for. 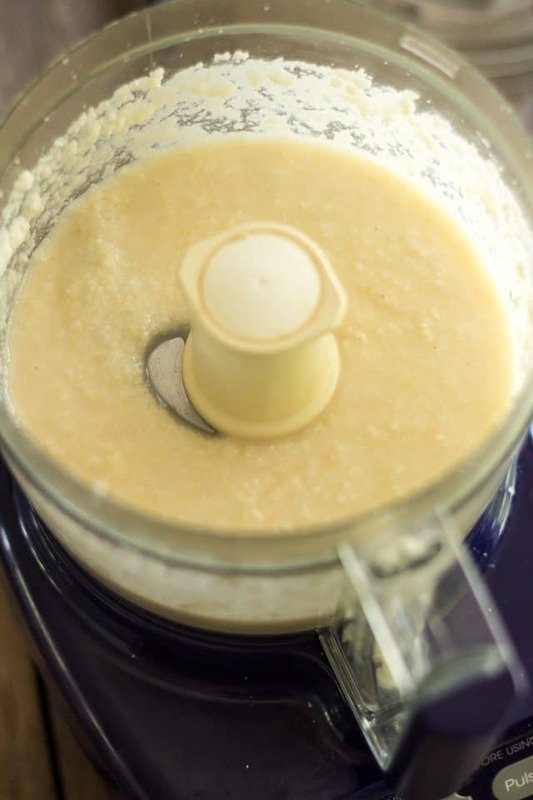 Although the Vitamix is strong enough to make smooth butter that doesn’t require sieving. Can I use a different tupe of salt, or does it have to be the himalayan? You can use any kind of salt you want, Tammy. I really love the coconut butter. I will definitely try this recipe at home in my free time. Thanks for sharing and I will let you know how coconut butter comes out in the vita mix. Finally, someone that doesn’t tell me that I need a Vitamix! This is great, I just made some! And for the coarse coconut I had leftover? I made almond joys! I have just discovered coconut butter recently from one of the Amish stores I go to on a daily basis. Always walked by it grabbing the raw honey. So glad I decided to give it a try!!! It is SO GOOD on Cinnamon Rasin Bread!!!! I am now a huge fan!!! 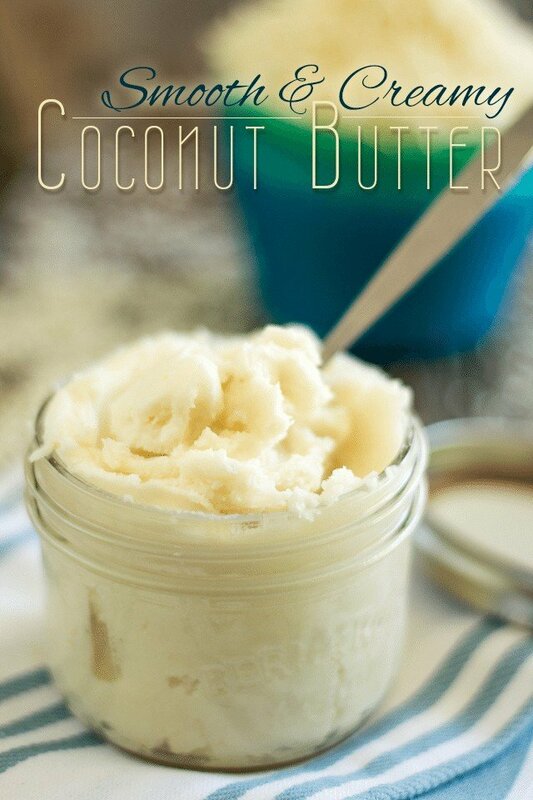 Thank you so much for sharing your on making coconut butter, can’t wait to make it myself!!! I forgot to ask you at the end of my comment….can I use vegetable oil in replace of coconut oil or does it have to be coconut oil? Thanks again for sharing!! No you can’t Lisa. You must absolutely use coconut oil for this to work, as coconut oil is solid at room temperature. If you were to use vegetable oil, your coconut butter would never set and would be extremely runny. And plus, well, the flavor would suffer greatly. I honestly don’t recommend it. I usually buy coconut butter to spread on toast. Very difficult to find! Quebec has some but not everywhere! I think it has sugar in it for it is very sweet. Do you use your butter on toast? thank you for existing! you saved me a lot of money! I really appreciate you sharing your knowledge and look forward to more of your posts!! keep it up!!! LOVE IT!! 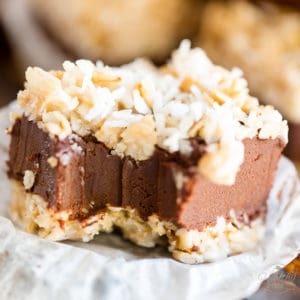 I am having trouble getting this to release any ‘butter” is there a specific brand of coconut you used? Can it be done with a fresh whole coconut? I think I would like that best. 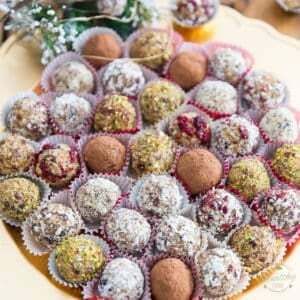 I just made this and it is excellent… and I don’t even like dried coconut. 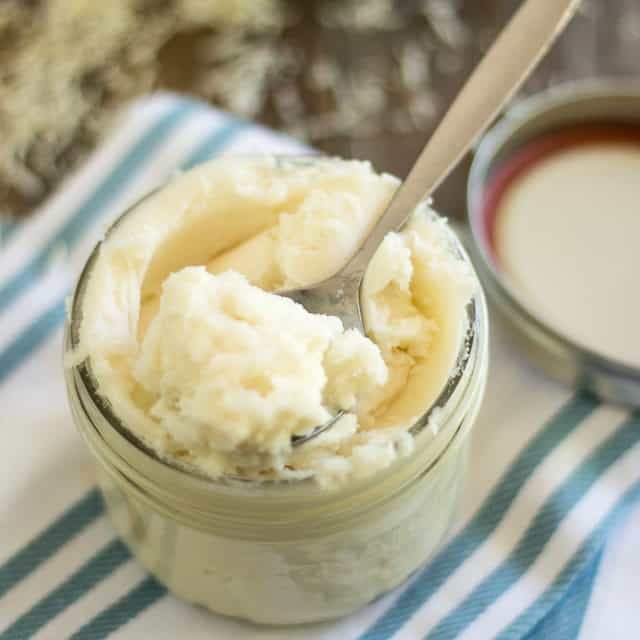 I made it because my daughter is dairy-free, and the recipe I was trying for dairy-free Parmesan cheese called for coconut butter, which I could not find in the store. I saved the coarse stuff that is left over after you stream the butter out to use in morning smoothies. I guess the question I have is what all would you use coconut butter on? I’m using it in the cheese this time, but it was so good I would like to use it on other things. Do you use it the same as you would normal butter? Coconut butter has a very strong coconut flavor… so really I’m surprised that it would be used in a Parmesan cheese recipe? Can you not taste the coconut in it? 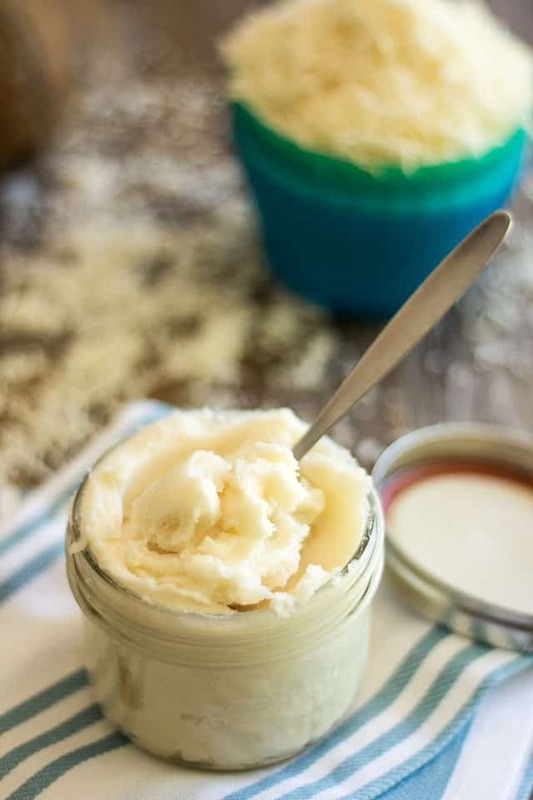 Coconut butter I find is good on muffins or other baked goods, you could spread it on toasts, use it in cooking or baking… or just plain eat it by the spoonful – my favorite! Glad to find your blog. Just finished using the coconut butter I bought and went searching for more. Alas, my grocery store no longer carries it. Went to Jungle Jim’s and was dismayed to find only 1 brand to choose from. Found your link on how to make it. Thank you! Excited to get going with it. I love to put it in my bullet proof coffee as well as my fat bombs. Now to get coconut and get moving. It tastes great in so many things! I am already loving your site! I’m getting ready to make the coconut butter, but now my interest is peaked in the toasted one. I prefer to male my butters, but have never made coconut. Finding the most affordable way is so important, and especially for those of us on a small fixed income due to disabilities. Thanks so much and I look forward to perusing your other recipes! I’m curious… I don’t like coconut oil… Too coconut tasting. But I do like expellar pressed coconut oil… No taste. 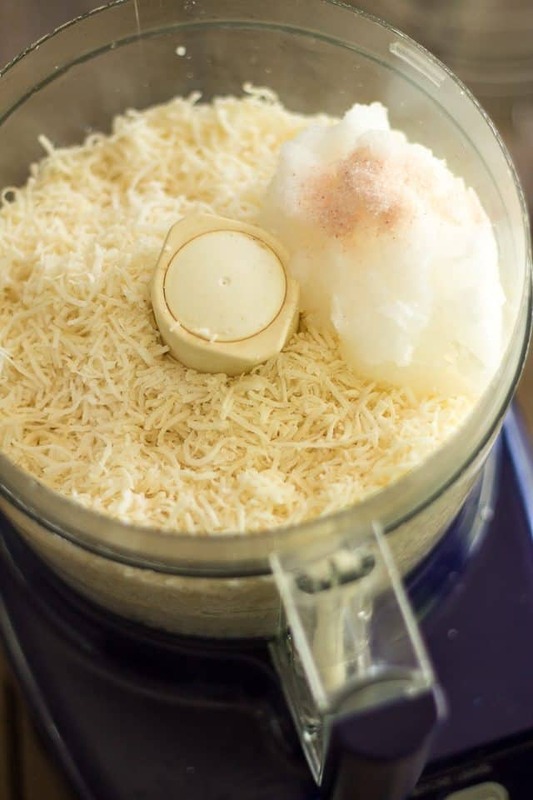 Could I use the expellar pressed with the shredded coconut to cut back on the coconut taste?